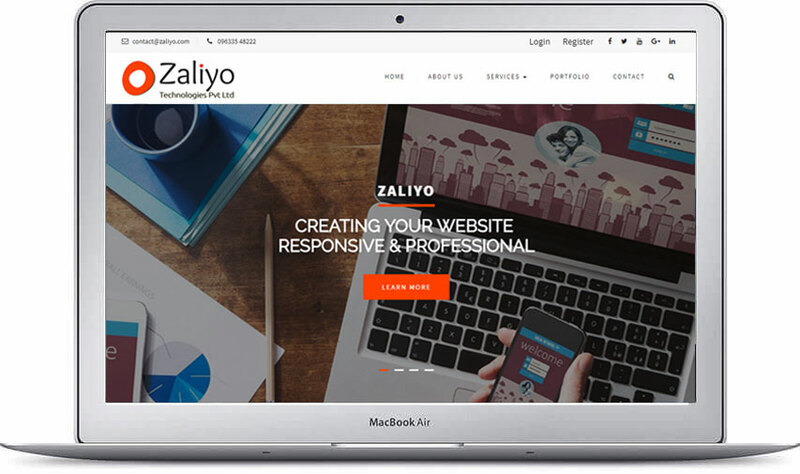 Zaliyo Technologies is the pioneer company engaged in offering various web solutions to our customers. The company is widely known for its qualitative range of service in limited period. We build mobile applications for the Android, iOS and Windows Mobile devices for all platforms.Mobile applications are there to make your business convenient . Cloud hosting pools resources from multiple virtual server instances of physical servers. Cloud hosting is noted for its reliability, scalability, and flexibility, making it ideal for businesses. We have a team of vibrant, young and dynamic web designers, developers and marketing strategists, enthusiastic to learn and innovate new techniques to offer a great user experience. Our team ensures to develop and deliver high quality solutions within the specified time at affordable prices. We will stay by your side providing continuous support. We specialize in creating beautiful websites that convert visitors into leads for your business. Our websites are responsive to fit all devices from desktop to mobiles or tablets. Our developers have immense knowledge and skills with open-source platforms such as Drupal, Wordpress, Joomla, Magento and so on, if you're looking for cost-effective solutions. Our Developers Create website with care.We continuously invest in new technologies, processes and people to help our customers to stay ahead of competition and achieve their business goals.